1Put your slow cooker on high. Then open and drain 2 cans of Jackfruit (17oz or 20oz cans). Jackfruit in brine works best. 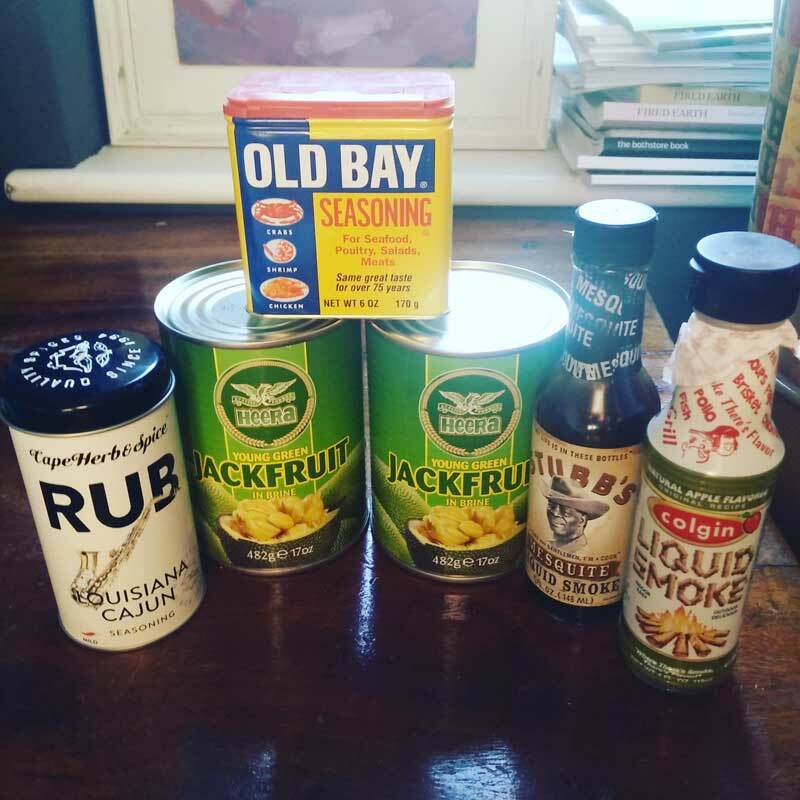 3Sprinkle the paprika, old bay, your pork rub, sugar (I'll add my favourite recipe to the site soon, but you can find plenty of awesome pre-made pork rubs that are vegan) These rubs should have paprika, sugar, salt, a little chilli, as a decent base. Stir into the jack fruit so it's all covered. 4Pour in your liquid smoke. This is made from natural smoke and is a great ingredient. I use a bit of apple wood and a bit of mesquite, but hickory is amazing too. Stubbs does amazing liquid smoke. 5Add in 1-1.5 cups of vegetable stock. 9Place under the grill for about 10 minutes to crisp it up a little. 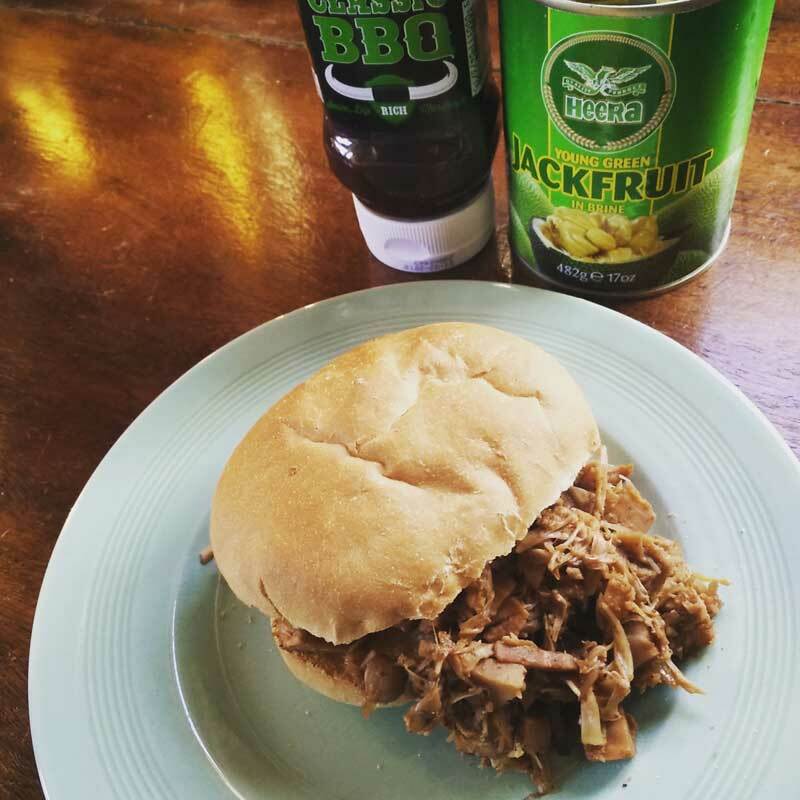 10Serve up on a bun with some more BBQ sauce and add some coleslaw if you like to give it a bit of crunch.